“Changeable” is that get out of jail card of weather forecasters. It covers a multitude of options for them and means that they can’t get into trouble for being wrong. Here in Yorkshire, the weather is often called ‘changeable’ so as the long period of hot weather comes to a close, we have the perfect reasons to come to the Museum when the forecast is unpredictable. Here’s 9 great reasons why you shouldn’t stay at home simply because it may rain in Yorkshire. 1. Follow the RAF 100 Trail. 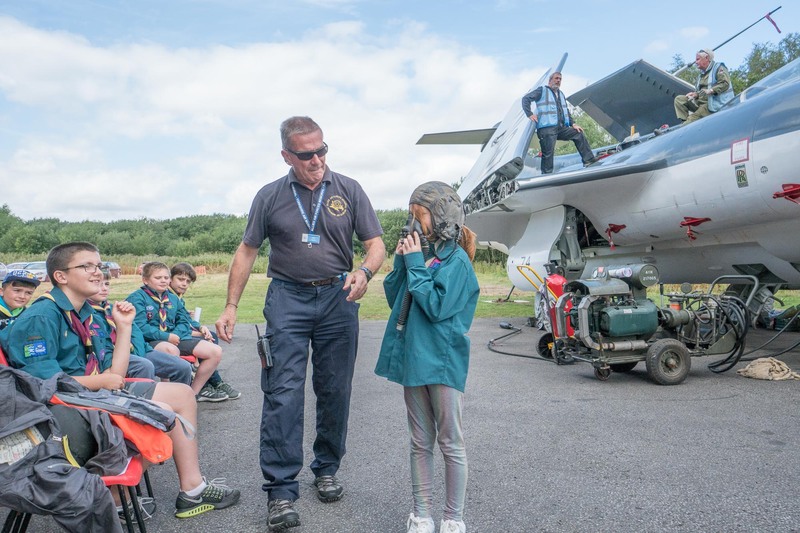 As you arrive at the Museum, pick up our RAF100 quiz trail and dodge a few showers to learn more about our location, the original RAF Elvington airfield here in Yorkshire. Make sure you get a copy of the Museum’s RAF100 quiz trail when you visit. 2. Talk to our Museum guides. Each day, rain or shine, our guides are here at the Museum and in the holiday periods, they’re always presenting short, informal talks on interesting subjects. Find out what today’s subject is as you arrive. 3. Our main hangar A huge hangar that protects the majority of our aircraft collection from the weather is a great haven for exploring, either from the heat of the sun or the Yorkshire showers. Halifax Friday the 13th is the centre piece and you will find a whole host of other aircraft nestling there including such diverse machines as a Dragonfly helicopter, our Meteor NF14 restoration, our collection of WW1 biplanes, including the AVRO 504 recently returned from Paris and the BE2, fresh back from Horse Guards Parade in London, where they helped support the 100th anniversary of the Royal Air Force. 4. The Control Tower The origianl WW2 Control Tower is restored exactly as it was in wartime and is open for visitors to explore. 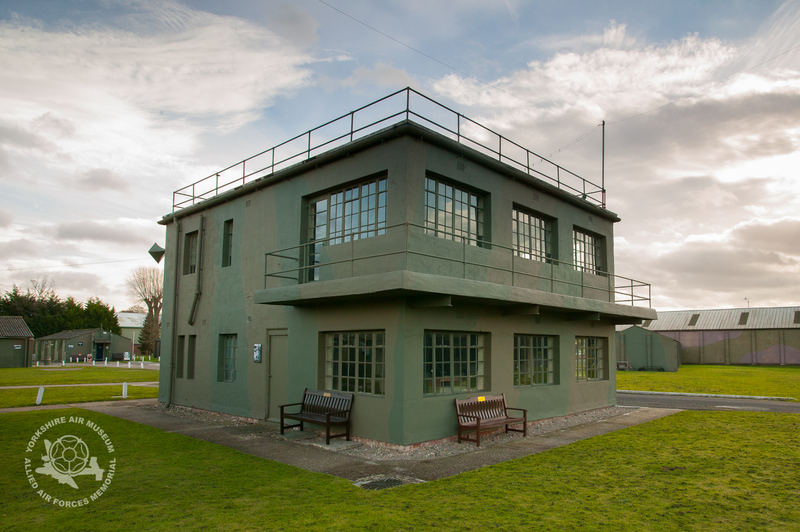 Experience the atmosphere of this historic building and enjoy learning more about the aircrews that flew from here in wartime. 6. Handley Page Hangar Climb inside original aircraft cockpits including Canberra, Herald and Jet Provost. Our simulator ride is running most days in the summer and during the week, you can see our heritage aircraft team working on restoration projects here and you can see an original Rolls Royce Olympus jet engine that powered the supersonic Concorde as well as a very rare Russian Silka anti aircraft tank. 7. Pioneers of Aviation A great display that explains more about early aviation pioneers including Yorkshire’s Sir George Cayley, Amy Johnson and Sir Barnes Wallis. The original catapult used by him to test his theory of the Dambuster’s bouncing Bomb is on display here. 9. Grab an umbrella and check out our jets You’re never far from a shower here in Yorkshire, so wait until the rain subsides and take a stroll over to our mighty Victor and Nimrod Cold War Jets. Right now, they’re joined by our latest huge Mirage IV nuclear bomber, gifted to the Museum by the French Air Force just last year.